As per a research by Gartner, 55%-75% of all the ERP projects are unable to meet their objectives. While this statistic is alarming, it doesn’t mean that your ERP implementation will meet a similar fate. By selecting NetSuite, which is probably the most popular ERP, you’ve already taken the first right step. The only thing left to do now is its implementation. While NetSuite implementation is not really easy, most of the organizations do agree that it is more straightforward as compared to a number of other ERP software. 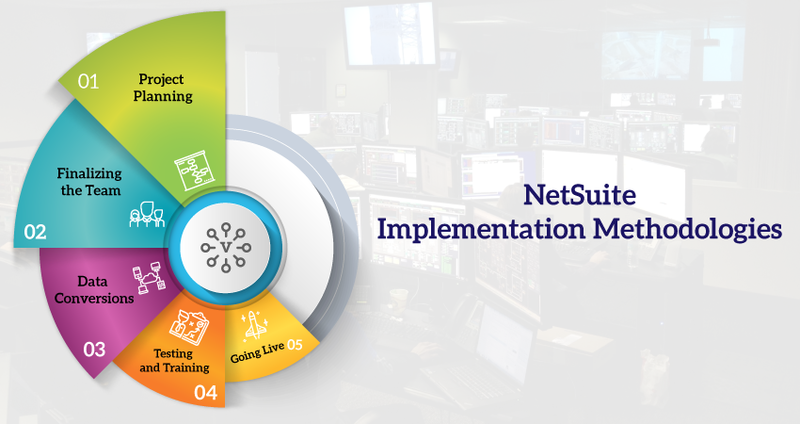 The most important step of NetSuite implementation is project planning. Irrespective of whether you want to implement the software yourself or want a NetSuite partner for the implementation, you’d surely need a methodology for successful implementation. When planning the project, closely focus on your current business processes as well as how they processes will combine with the ERP to generate maximum ROI. Before implementing NetSuite, it is very important to create a team that will work on the implementation and oversee the project. Include C-level executives, IT staff, project leader, project sponsor, and internal subject matter experts to the team. Every team member should clearly understand the important goals of implementation. Once the project begins, regularly communicate with the team members and let key users have a say in decisions regarding business processes. Once the team is finalized, assign them the job of taking inventory of all the current data. For a lot of companies, the data from their current systems can be in several formats, cluttered, or it might also have missing information. Start with cleaning the data. Look for any errors and try fixing them even before you begin the implementation. This can help in reducing the implementation delays and errors while also ensuring that the project follows the established timeline. This stage involves letting the dedicated users test the functionalities of the ERP system. Make sure all the major business processes are examined during the testing phase and all the functions of the software are working as expected. Testing is also an excellent tool for providing hands-on training to the users. Apart from the department heads, ensure that even the end users are trained sufficiently. In this stage, you’ll switch to NetSuite from your current system. It’ll involve steps like finalizing hardware installation, completing user training, and preparing user interfaces. This step is followed by implementation review in which the performance of the business processes using NetSuite is measured. The overall performance is then compared with the ultimate objective and goal of the project. Based on the performance, the changes and improvements are then recommended. As NetSuite implementation is a vital and complex project, most businesses prefer hiring a reliable ERP service provider to accelerate the project and get the expected results. If you want to implement NetSuite on your own or work with a service provider, these are some of the most important steps you should follow for successful implementation.